Ahead of closure of a week-long activities to mark this year’s World breastfeeding tomorrow (07-08), a non-governmental organization, Civil Society Scaling-Up Nutrition in Nigeria (CS-SUNN) has appealed to the Federal Government to champion a law that will mandate the creation of creche in work places. The NGO said this became necessary to enable nursing career women have quality hours to attend to their babies in their first six months of birth. 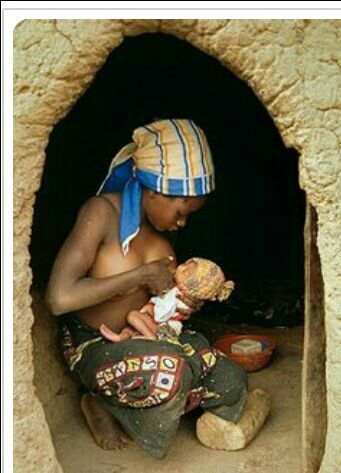 A statement issued by CS-SUNN Coordinator in Kaduna , Mr Silas Ideva on Sunday stated that, such law would promote baby friendly environment that would encourage nursing mothers to breastfeed their children as stipulated by world leading governmental and non-governmental organizations like WHO and UNICEF. That statement read in part, “workplaces should be mandated to establish baby friendly centers or crèches that would promote breastfeeding among working class women. “A mother who has a supportive and a friendly environment would feel encouraged and happier to breast feed her baby”. The statement further stated that, the need for society to encourage mothers to embrace exclusive breastfeeding, starting from the 30 minutes of birth is crucial to child survival and growth calling specifically on husbands to support their wives with the material, emotional and psychological support needed to see them through the required six months exclusive breastfeeding. This is because breast milk is vital for the wellness of newborns from infancy to adulthood because it provides all the nutrients infants and young children need to fight infection and prevent diseases. “Optimal breastfeeding prevents infants from becoming malnourished, and stops the negative consequences of building an army of under-developers out of our children. “This is because a malnourish child will never be able to exploits his or her full potential in life, largely as a result of an undeveloped brain, due to insufficient intake of nutrient in the first 1000 years of life of a child. “As such, there is no better investment than ensuring that children are adequately feed; and exclusive breastfeeding in the first six is a proven magic in preventing stunting or wasting among children”, added the statement. The 2017 World Breastfeeding Week with the theme, “Sustaining Breastfeeding Together”, is a clarion call for humanity to work together, in ensuring that mothers adequately breastfeed their babies for a healthy family, leadeeshio and society at large.